jsoniter (json-iterator) is fast and flexible JSON parser available in Java and Go. Good deal of the code is ported from dsljson, and jsonparser. 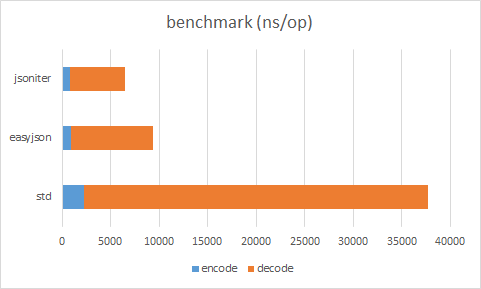 Jsoniter Golang version could be more than 6x times faster than standard lib (encoding/json). And the number is acheived with runtime reflection instead of go generate. This is what a mediocre parser can do. Jsoniter is born from real-world anger to solve the impedance mismatch between JSON the Java language. To understand what kind of unique experience Jsoniter can provide, let’s compare with existing parser api. 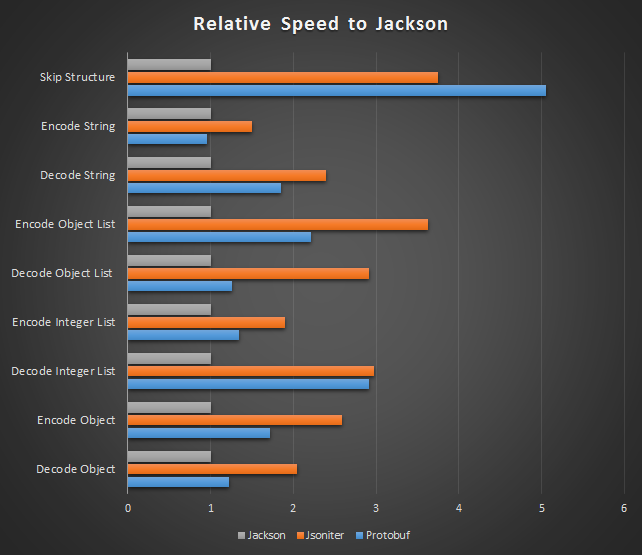 Jsoniter will not only be the fastest parser in runtime, but also trying very hard to be the fastest parser to help you getting your job done. Golang version is drop-in replacement for standard library (encoding/json), json.Marshal or json.Unmarshal just replace json with jsoniter.